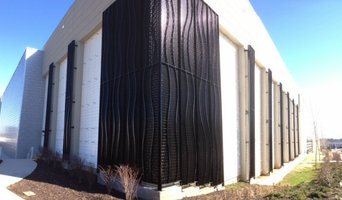 Chase Architectural Metal specializes in concept, design and fabrication of custom metalworks including architectural and ornamental for commercial and residential applications, as well as the restoration of older art sculptures and metal works. 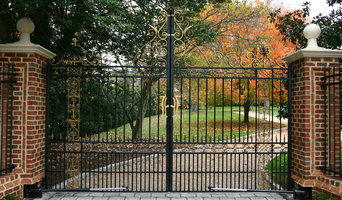 ( call 434-230-1136 or email ( rchase@chasearchitecturalmetal.com ) We believe that ornamental iron and metal work is an art form. 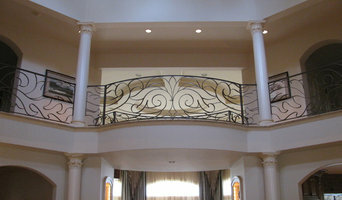 Give us your ideas or concept: it could be railings, gates, fences, monumental stairs, kitchen countertops and range hoods, pergolas, furniture or specialty lighting.... it could be in iron, aluminum , steel, bronze or copper. We will work with you to ensure that the finished project is exactly what you envisioned and that the end result is a one-of-kind art. Colonial Iron Works, Inc. is a 7 time international award winning firm specializing in design, fabrication and installation of fine metalwork. En quoi consiste le travail d’un forgeron ou ferronnier d’art sur Richmond, VA ? Pour trouver un forgeron ou un ferronnier sur Richmond, VA, affinez votre recherche dans la section « Trouver un pro » par ville ou par nombre d'avis. Nous vous invitons à regarder des photos de structures en fer sur Richmond, VA et à contacter un ferronnier qui a travaillé sur des projets similaires au vôtre.